Why Are My Electric Costs Increasing Each Month? Why Are Your Electric Costs Increasing Each Month? 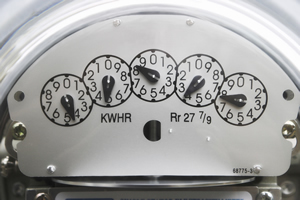 Many homeowners have become aware that their monthly electric bill is continually increasing. At the same time, we are all aware that the cost of each kilowatt of electricity is going up. But the increase in our electrical costs is not just related to the costs of the electricity it is also driven by our consumption of electrical power. When confronted with high electric bills we immediately think of the major appliances in our homes. Electric ranges, ovens, washing machines, dryers, dishwashers, refrigerators, hot water tanks and heating. While all of these major home appliances have become more energy efficient, what hasn’t become more energy efficient are the individuals who live in the house! Although all of those appliances do consume a lot of electricity when they are on, it is the vast assortment of smaller electrical appliances and devices that can waste electrical power and drive up out monthly electric power costs. What has technology done for our electric bills? In the last decade we have become a society that is driven by electronics and most of these electronic devices are consuming power 24/7, they are never off! While none of them individually would be considered to be power guzzlers, combined they have a heavy impact on our monthly and yearly electrical bills. Let’s take a look at an average household that is staying reasonably current with the latest electronic devices in their homes. What electrically driven devices are always ON and consuming electricity? Hands free telephones – the base stations consume electricity even if a phone is not sitting in the cradle. Answering machines – At a minimum, there is one LED indicator telling you if you have messages. Cell phone chargers – If a cell phone charger is plugged into an electrical receptacle it is consuming power, even if the cell phone is not being charged. Laptop computer chargers – Many individuals leave the AC power cord of a laptop computer charger plugged into an electrical receptacle. Even if the laptop is not plugged in the charger is drawing power. Flat screen televisions – You may think that your flat screen TV is off, but if you have a remote control that can turn the TV on, then the TV is on, it has to be in order to receive the signal from the remote control to turn on. DVD players and recorders – These devices are designed in the same manner as televisions. If an electronic device can be turned on with a remote control, then the device itself is always on and consuming power. Digital picture frames – While some digital picture frames are battery operated, many plug into electrical receptacles. Video game consoles – Do you have to go to the game console box to turn it on? Most video game consoles have remote controls and as stated with flat screen televisions, DVD players and recorders if you can turn it on with a remote control then the console is always consuming electrical power. Cable TV and converter boxes – Even when your television is off, the cable TV and digital converter box is on and consuming power. Clocks – What good would a clock be if it wasn’t continually operating? Modems – The broadband modem that I have for my computer does not even have an ON/OFF switch! Routers – All the computers are turned off, but the router is still powered up and drawing electrical energy! Printers – Most people leave their computer printers in standby mode. Although this reduces the energy consumption of the printer, it is still drawing power. Computers – Do you shut down your computer or do you let it go into sleep mode? If the computer is off, it is not drawing power, but if it is in “sleep” mode, it is still consuming power. Computer displays – Shutting off your computer, does not shut off your computer display. Most people with flat screen computer displays don’t even know where the ON/OFF switch is for the display. Hence, it is consuming electrical power. Computer standby power supplies – Even when your computer and all the computer peripherals are turned off, your computer standby power supply is on! Range – I don’t know of a range that does not have a clock that is always on. Oven – Built-in ovens usually have clocks, but fancier models may have additional features which are always in standby or on mode. Microwave – Even when my microwave is not in use I have a digital clock that is always on. Coffee makers – You only make coffee on weekends, but if your coffee maker is plugged in it is most likely consuming power if for no other reason than to power the clock. Security systems – Security systems are becoming more and more complex, the addition of video surveillance and other sophisticated communications requires more energy to be consumed in order to power them. Security systems draw power 24/7 even if they are not armed. Electric garage door openers – Drive up to your garage door, push the button on the remote control and the door magically opens. The electric garage door opener is always in standby mode waiting to receive a signal from the remote control. Air cleaners – I have two air cleaners, they are always operating! Those are just a few of the many electrically powered devices that are always on that we have in our homes. In the mid 70’s the average North American home had 3 devices that were always on and consuming some amount of electricity. It has been estimated that in 2010 the average home had 30 devices that were continually on and using electricity. Look around your home, how many appliances and other devices are not really OFF but are in a standby mode? How many times have you left the home completely unattended and these items continue to consume power. I know people who go on vacation for two or three weeks and leave all of their appliances and other electronic devices in standby mode. Remember that any device or appliance that can be operated remotely is never truly OFF ! Do you still wonder why your energy consumption is steadily increasing?